Nights into Dreams for the Sega Saturn is probably one of the most overrated games i have stumbled upon! I got this game for my Saturn and knew that people really LOVED this game, but its just so boring and repetitive. All you do is just fly and collect these stupid little gem things. 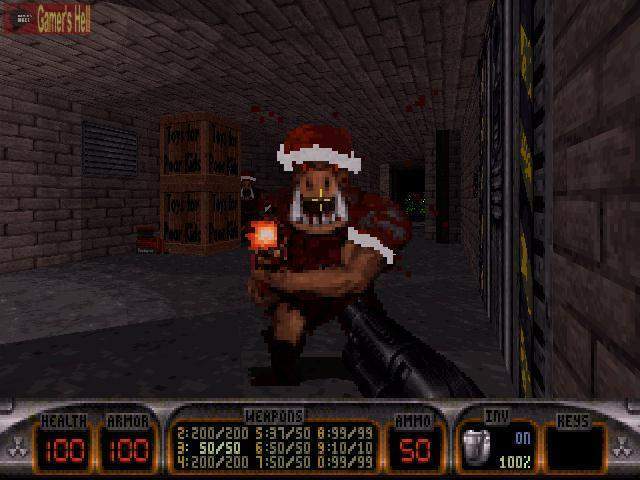 But if you for some reason liked the original game you will love the Christmas edition! If you really are looking for a Christmas game that actually has that real Christmas feel then look no further! 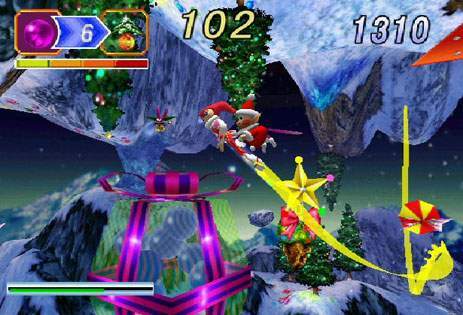 In Daze Before Christmas you actually play as Santa Claus and your mission is to rescue all the elves that has been imprisoned by the evil snowman, you achieve this by running around like an idiot, jumping and avoiding stuff. And this game also has some really nice graphics! Snowball fighting, Snowboarding, Downhill skiing, Ski or Die has all the fun stuff of the winter season and more! Compete with your friends in five sportrelated wintergames while listening to groovy music. 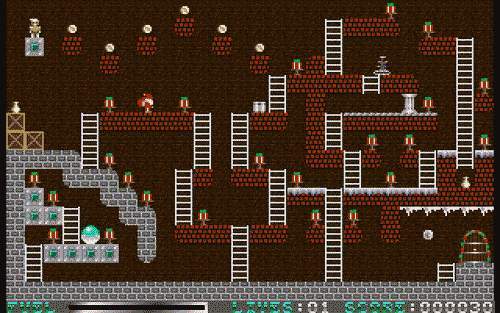 This is the Christmas edition of the classic pc game Jetpack. 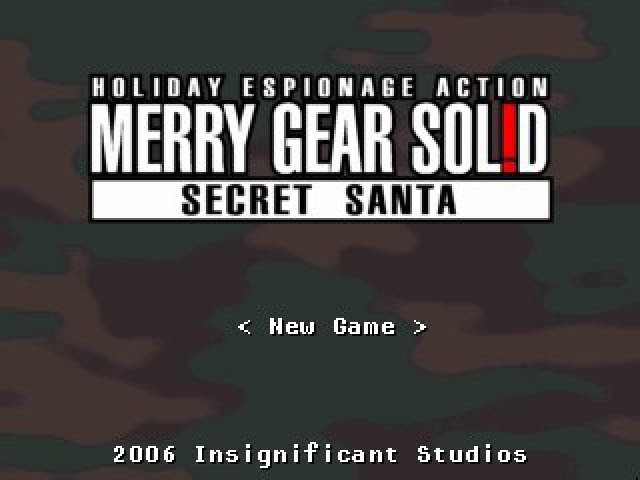 Its still the same game but you now play as Santa and you are now collecting Christmas presents. Love these old one-screen pixel games 🙂 And it comes with a level editor which is really fun. 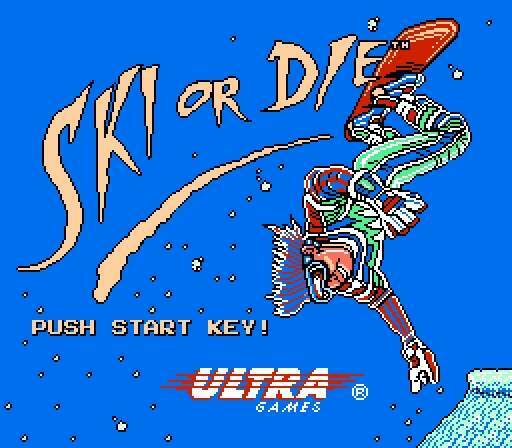 Everybody remembers Ski Free right? Well not me.. somehow i missed this amazing game! It was released for Windows 3.1 but was later ported to other Windows versions and systems. You can tell it has a very strong fan-base, just look at all these amazing fan fictions based on Ski Free over at fanfiction.net. 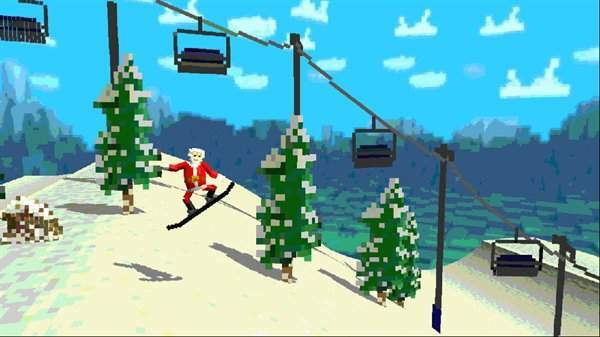 Ski Free is perfect to play during the holidays because it includes skiing, an endless amount of snow and everyone’s favorite, the Abominable Snow Monster! 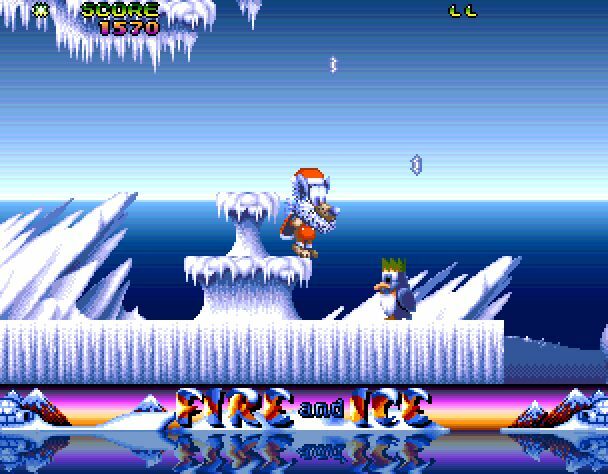 This is just a one-level special edition version of the Fire and Ice that came as a bonus game on a disc with the magazine Amiga Power (issue 20, December 1992) This Christmas edition is very short but its still fun and looks really good! 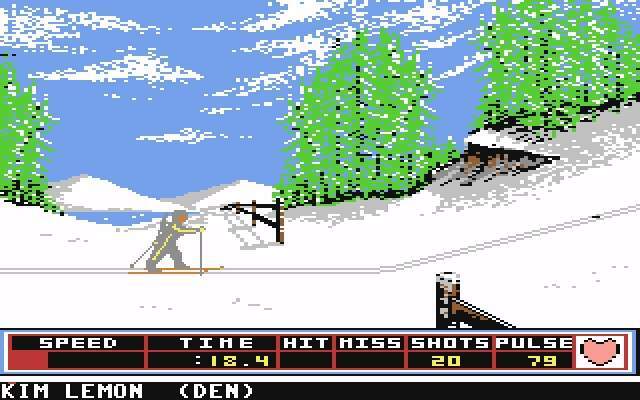 I just love Epyx sportgames for the Commodore 64. They are simple and fun! And its perfect to play with friends as a partygame. Turnbased up to 8 players with many fun events. My favorite event is Biathlon, so much fun! 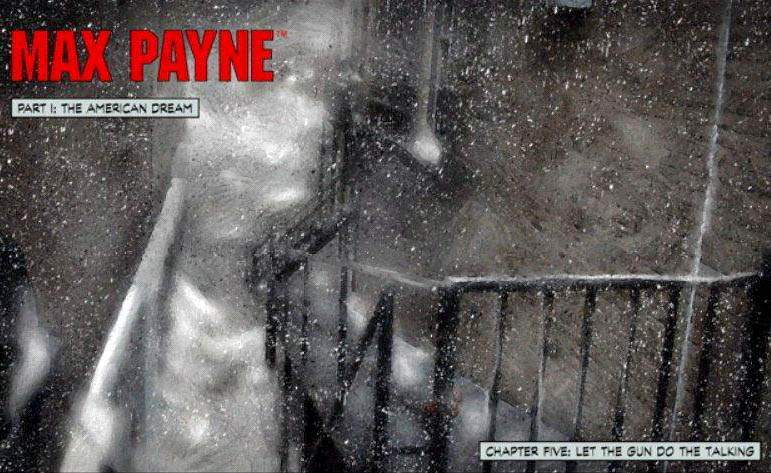 The Max Payne games are great! 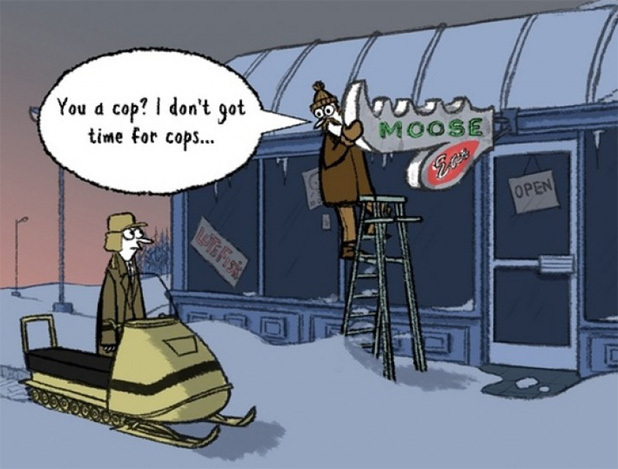 And now im talking about the two first games from Remedy.. not that last one. But i really like the first one best. Doing a stunt jump and landing it the snow on the streets of New York, making snow angels with a baretta in each hand.. that’s Christmas! for Max Payne at least. 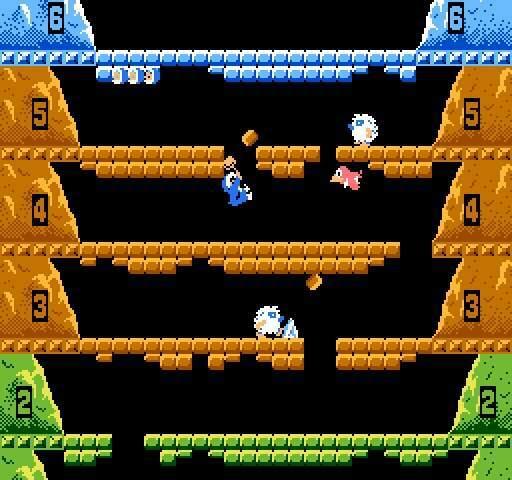 This is a really fun arcade game that is kinda like Bubble Bobble but with snow instead of bubbles 🙂 Really fun to play and is perfect for two players. The Sequel has support for up to four players and have characters with unique skills. This is a real classic Nes game, and it was the first game i played on the Nes. I loved it then and I still love it today! A really fun game for 2 players, either you cooperate to reach the top of the mountain or you race and see who can reach the top first. This is an expansion for the original game. The plot sounds amazing, Duke needs to travel to the North Pole in order to stop Santa Claus that has been brainwashed by aliens! I never played this mod but im guessing that its just as good as the original game! This is the sequel to the very fun game DecAthlete/Athlete Kings. 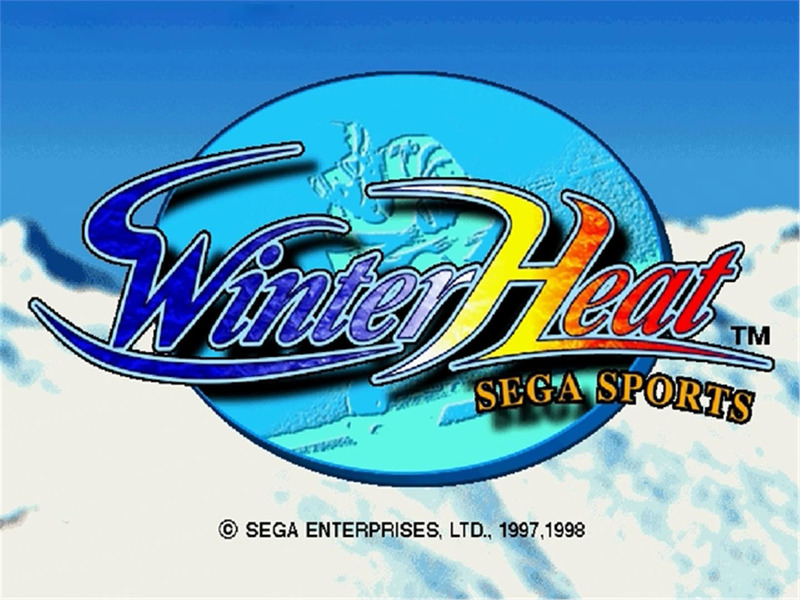 I just found out about this game from an episode from my favorite retrogaming youtubechannel Game Sack and ordered a copy of it on eBay 🙂 Its just like the original game but with wintergames instead, probably a lot of fun! 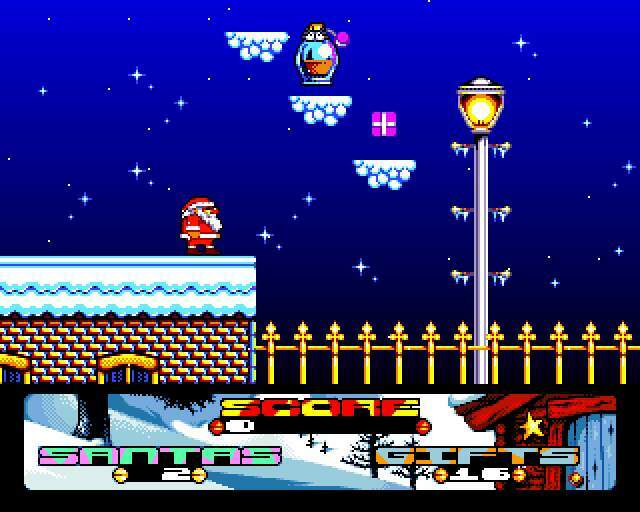 You play as Santa, armed with unlimited number of snowballs. Your mission is to collect Christmas presents that are scattered around town ore die trying. This game has a nice Christmas style and music. 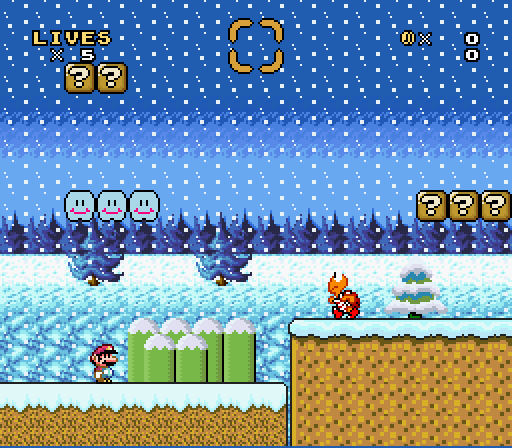 This is a short little Christmas romhack for Super Mario World. 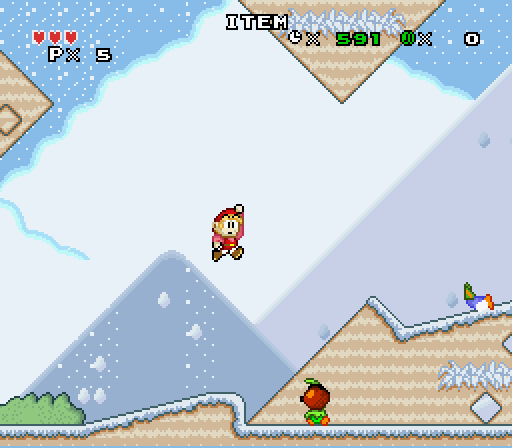 It has some nice snow and winter graphics and new music, mostly taken from other Snes games. Its a fun little game to play during Christmas. You can download the romhack here. 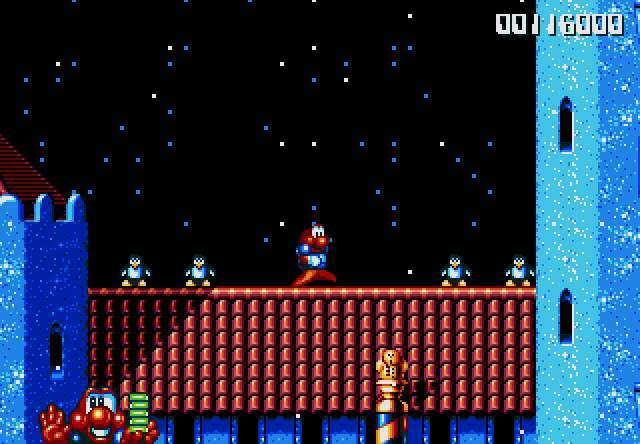 A pretty nice hack of Super Mario World where you play as the character “Red”. For some reason he forgot to bring all the Christmas presents home so he has to go through this one stage and collect them all. You can download the hack here. 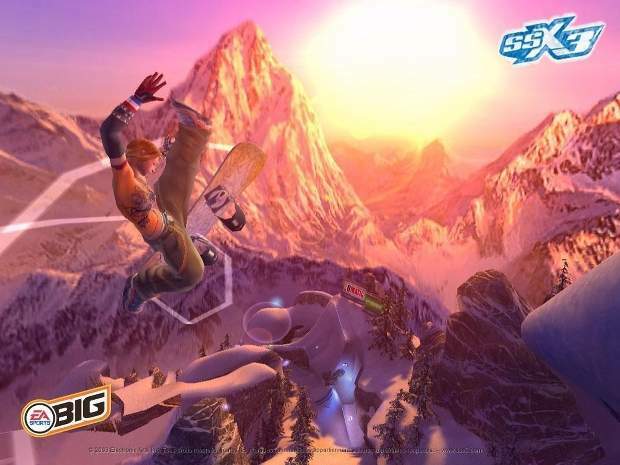 You play as Fork Parker trying to to scratch out a little profit by climbing huge mountains using his incredible jumping skills and using a grapplinghook. The game looks great and has a nice christmas feeling. You can download the game here! A really fun retro-style physics snowboarding game! The sprites in the game are very low-resolution and has that great pixel retro style, and the music is made from various artists from the music community the 8-Bit Collective. The game can be a bit tricky at first, but when you get the hang of the physics its really fun! 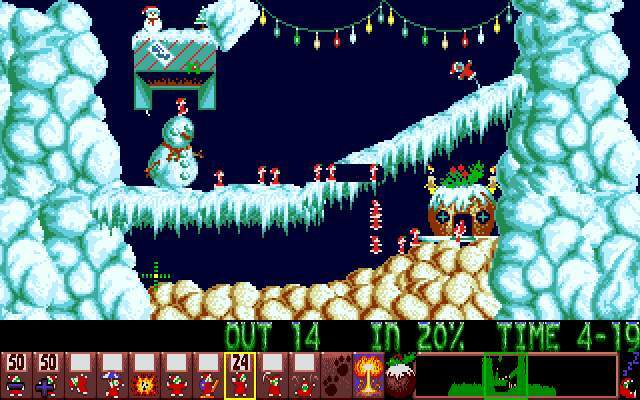 If you like Lemmings and Christmas, then this is the ultimate combo for you. New challenging levels during Christmas. If you follow my blog you know how much i love Mashed, its the best party game I have played and no other game has made me laugh so much! The reason i added this to this Christmas list is because of the best level in the game, the level that you spend the most time at: Polar Wharf. 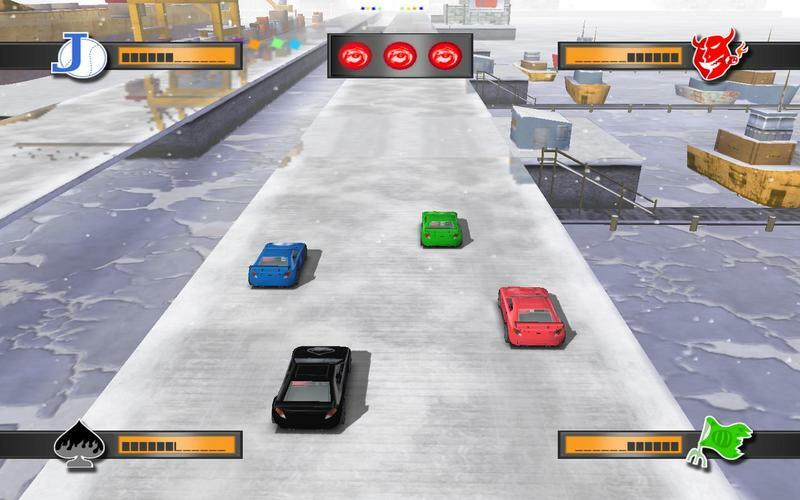 This racing track is not far from Santas hideout on the North Pole. Gather your friends and play this game now! And finally, the ultimate Christmas game.. James Pond 2! You take the roll of the secret agent James Pond how needs to rescue Santa from the evil Dr. Maybe how has taken over Santa’s workshop. This game has it all, amazing and colorful graphics, fun leveldesign, and a great soundtrack that fits really well to the game! You really need to play this game during Christmas! This entry was tagged english, lista, recension, retro, spel. Bookmark the permalink. 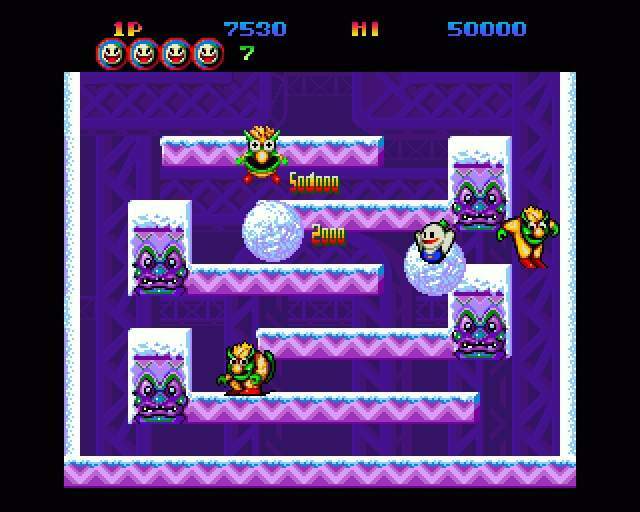 We play games featuring snow every winter, our favourite last Christmas was Winter Gold a 1996 SuperFX game for SNES. Still great fun and very stylish. ← Balloon Fight. Flyg, bada och jogga.